In 2001’s The Tailor of Panama, Pierce Brosnan plays Andy Osnard, another MI6 agent, with a far more relaxed fashion sense than James Bond. 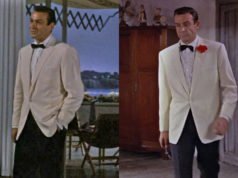 1990’s trends in tailoring have carried over to the next decade, seen in Brosnan’s full-cut, button three suit made of tan linen. The cloth could be a linen blend, maybe with cotton, silk or both, since it doesn’t wrinkle as much as 100% linen ordinarily does. The button stance is high and the buttons are spaced far apart. The jacket has no vent, three buttons on the cuffs and flapped pockets. The trousers have a flat front and full-cut legs. Though the suit isn’t a fine example of tailoring, the loose, unstructured look can be quite comfortable in Panama’s tropical climate. Brosnan wears a sky blue shirt with a short point collar, open breast pocket on the left, a centre box pleat in the back and sleeves pleated at the shoulders. 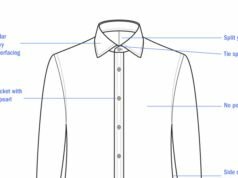 The rounded barrel cuffs fasten with one button but have a second button placed around the cuff to close the cuff with a smaller circumference. His monk shoes and belt are burgundy leather with brass buckles. Brosnan’s outdated, casual style is well-fitted to his character Andy Osnard, who contrasts Geoffrey Rush’s Harry Pendel, the titular character. Roger Moore’s tailor in the 1980’s Bond films, Douglas Hayward, was author John LeCarre’s model for Pendel. Rush’s clothing was far more impressive than Brosnan’s and may be the subject of a future entry here. Andy Osnard was like James Bond’s evil twin. It’s funny, I was just thinking about this movie and was going to ask if you’d seen it and were going to write about it, great minds! It’s a good movie, a bit satirical for sure (probably what John Le Carre was going for), but sadly it was marketed as if Andy Osnard was like James Bond. Very misleading. There’s almost nothing likeable about the guy, something I had never seen Pierce Brosnan portray before. SPOILER WARNING: In Le Carre’s novel, he doesn’t get off so easily though. He’s shot by Harry Pendel before he can get away and dies pretty quickly. It was filmed for the movie but deemed a little /too/ dark for Geoffrey Rush’s portrayal of the titular character. Ironically, though M described Brosnan’s Bond as a “sexist, misogynist dinosaur, a relic of the Cold War,” the description more aptly fits Osnard. Hi, I really enjoyed your website.. Can you write about the 007’s ties? Love your work, how about a book to put it all together? The outfit in the opening scene is such a mess that it hardly resembles anything Bond would wear. Matt , any idea who made this suit ? Matt , l have A bit of information that might benefit your blog for this post. 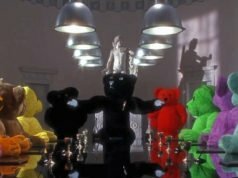 It turns out that the Costume Company ” Angels ” in London is responsible for tailoring all four of Geoffrey Rush’s Suits in this Film . I would deem it most likely that they also Made Andy Osnards Suit for this film as well. The suit Is a linen and cotton blend , and they deliberately made it to look Poor quality to reflect Andy Osnards Slovenly way of dressing , in contrast to Harry Pendel ( Geoffrey Rush’s character ) who always wears one of his four tailored three piece suits . I think you could also do an entry about Harry Pendel suits in this film. They are EXTREMELY sharp looking and well cut.